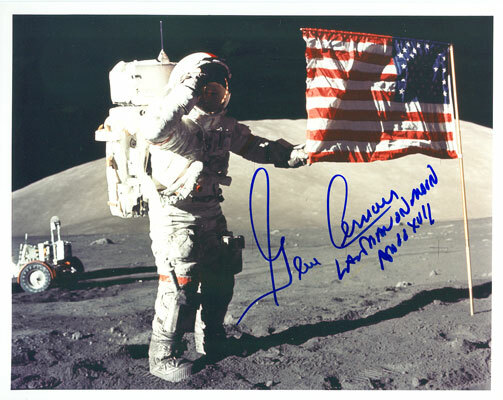 Please enjoy our huge selection of all things space related including autographs, books, NASA "paper", FLOWN spaace artifacts, assorted memorabilia and a wide variety of items coming directly from the personal collections of Astronauts, Mission Control personnel and other lengends of the manned space program. As we approach our 17th year we thank you for visitng and invite you to strap in, relax and enjoy the ride. Use the Breaking News to see our latest one-of-a-kind, rare collectibles from the personal collections of the pioneers of the manned space program. 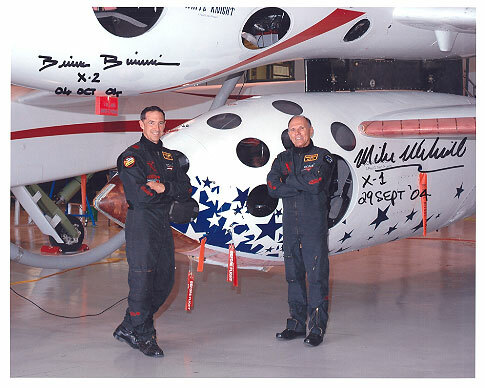 FarthestReaches.com has the widest selection of astronaut autographs, space program related autographs, flown space memorabilia and one of a kind space and space related artifacts on the internet. Obtained by Ed Gibson at a public signing event, this 8 x 10 photograph is authentically hand signed by Brian Binnie. Ed has held it in his personal collection from the time it was obtained. A few minor indentations from handling that do not distract. 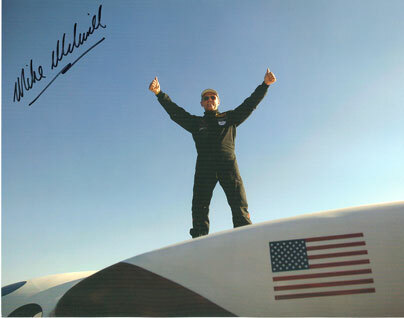 Obtained by Astronaut Ed Gibson at a public signing event, this photo is authentically hand signed by Mike Melville. 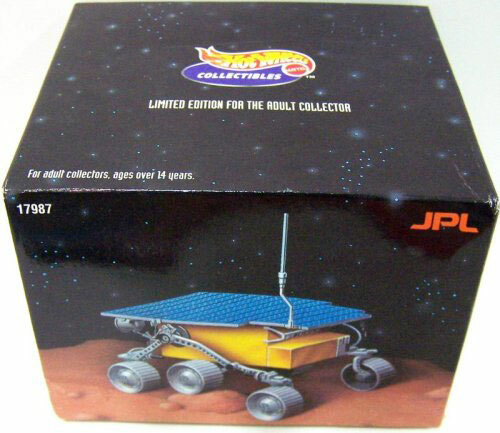 He has held it in his personal collection from the time it was obtained. A few minor indentations from handling that do not distract. Comes with a COA from Farthest Reaches. 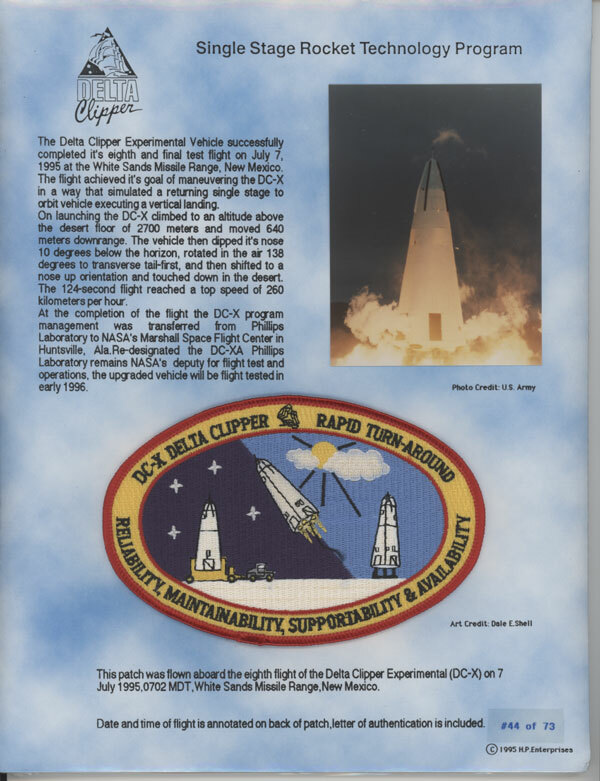 Flight-flown limited edition patch from the eighth and final test flight of the Delta Clipper Experimental vehicle, #44/73, launched on July 7, 1995. Oval patch measures 5.25 inches in diameter. Patch is affixed to a color 8.5 x 11 informational sheet, detailing the flight at the White Sands Missile Range, as well as a color image of the take-off. The Delta Clipper Experimental Vehicle was constructed in 1991-93 at McDonnell Douglas' Huntington Beach facility. It was intended as a one-third scale model of a proposed SDIO single-stage launch vehicle. It first flew in August 1993 and had completed three flights when SDIO terminated the Delta Clipper program. After additional funding was procured, the vehicle flew five more flights before being returned to Huntington Beach for conversion into the DC-XA. This DC-X maiden flight cover has two authentic flown pieces of Delta Clipper aero shell material affixed to it. 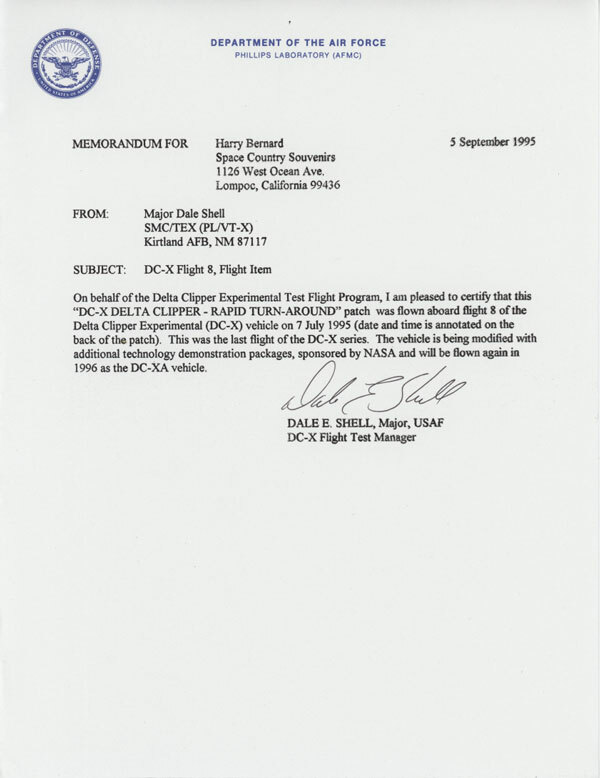 The material was obtained by Major Dale E. Shell who served as the DC-X & DC-XA Deputy Director for Flight Tests. The flown material was recovered following the 6/27/94 explosion that occured at the onset of Flight #5. The explosion was due to the ignition of a vented hydrogen cloud which resulted in a 3' x 17' breach in the side of the launch vehicle. These fragments were removed by Major Shell from the damaged area just above the control surface. It should also be noted that Astronaut Pete Conrad was the DC-X Flight Manager. 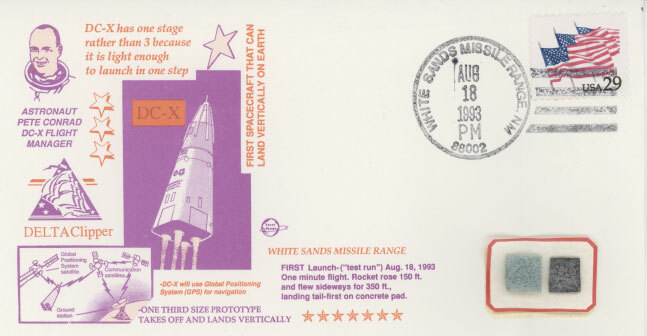 The cover is cancelled on August 18, 1993 (Flight #1) at White Sands Missile Range and comes with a hand signed COA from noted space historian Rick Boos to whom it was originally presented. This is a table top Lockeed: Fleet Ballistic Missiles contractors model. From left to right are the A1 (9.25"), A2 (10"), A3 (10.25") and C3 (10.75") missiles. In outstanding condition mounted on wood base as shown in photo. On June 3, 1965, during the trailblazing Gemini 4 mission, astronaut Ed White became the first American to walk in space. At 3:45 p.m. EDT, White opened the hatch and used the hand-held maneuvering oxygen-jet gun to push himself out of the capsule. His extravehicular activity (EVA) started during the third orbit and lasted 23 minutes. This EVA paved the way for the first men to walk on the moon, and for the International Space Station's construction and maintenance. Commander Jim McDivitt stayed inside to photograph these epic moments in U.S. history. This medallion's front side features a space walk photograph, and the reverse, a reproduction of the actual 1965 Gemini 4 medallion. This commemorative medallion contains metal flown on Gemini 4. The production run was limited to only 3500 pieces worldwide. This medallion comes with a certificate of authenticity and a plastic display stand. For your convenience I have provided images of how beautifully packaged this medallion is and details pertaining to it's production and design which can be easily read by clicking on each thumbnail. Flown Gemini 4 material is exceedingly difficult to come by thus making this display very desirable, particularly given it's very easonable pricing. My supply of these are very limited so suggest you not wait long to place your order. This official NASA medallion contains metal from the Command Module that flew the first men who walked on the moon 1969-2014. It is an immpressive 1.75" in diameter. Both sides are shown in the accompanying image. Please note that this is only the 2nd time EVER that NASA has issued an "Official" Apollo 11 Medallion with flown metal. The first time of course was the MFA Medallion (also available here) which was in fact was produced in much higher numbers making this version even more desirable. Dimension-ally rendered in Antique Bronze Includes a Circular Presentation Case. This medallion is beautifully produced in antique bronze with a sandblasted finish. Produced by premiere medallion maker Winco International (Winco) who certify that the metal included in the Apollo 45th Anniversary Medallions is taken from Apollo Command Modules that flew to the Moon. Various undefined flown metal types and percentages have been used in the production of these medallions. The edition is limited to 1000 medallions. Packaged on a beautiful display card and with unquestionable provenance. 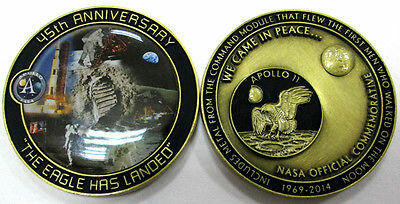 This 40th Anniversary medallion was produced in 2010.and commemorates the Apollo 17 mission. This medallion contains metal that has flown to the moon on an Apollo Mission. It measures 1.75" diameter and in 2" round case as can be seen in the image provided. Winco International (Winco) certifies that the metal included in this Apollo 40th Anniversary medallion is taken from Apollo Command Modules that flew to the Moon. Since NASA chose to celebrate the entire Apollo Program, no aspect of this 40th anniversary celebration was to be mission specific. As a result, Winco cannot identify the specific Apollo missions that the flown metal is taken from. NASA has accepted Winco's certification per their knowledge of the metal used and their internal usage of these individual and framed medallion editions. Various undefined flown metal types and percentages have been used in the production of these medallions. The edition is limited to 1972 medallions. Iron clad provenance. 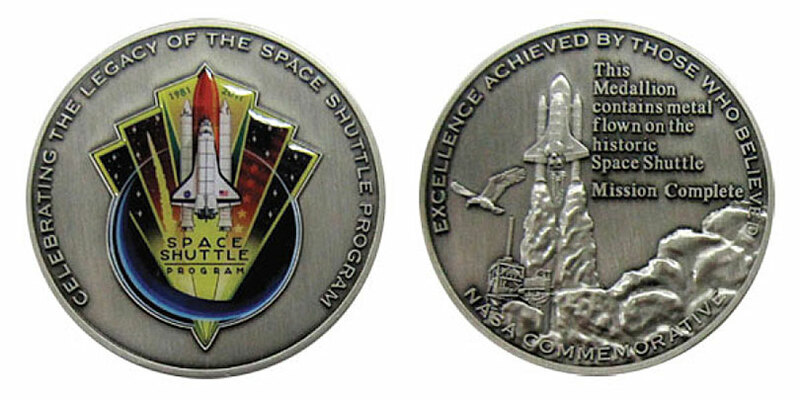 This beautiful medallion produced by Winco International, NASA's supplier of mission insignia lapel pins throughout the course of the shuttle program, feature in full color the space agency's Space Shuttle Commemorative Emblem as designed by Blake Dumesnil but otherwise differ in design and inscription. Metal ingots produced for this program were flown on a space shuttle mission and then included in production so each medallion would contain flown material. Offered here is the "Mission Complete" Medallion (1.75" diameter). 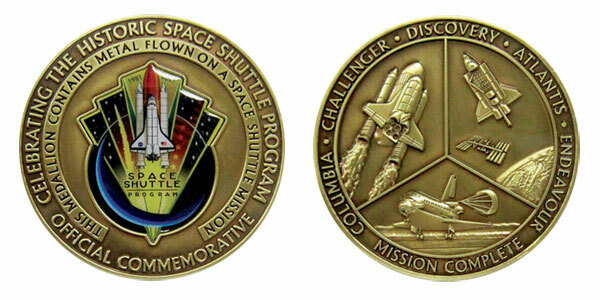 It commemorates the completion of NASA's shuttle program." In addition, this limited edition medallion celebrates the exceptional accomplishments and missions of the first winged orbital spacecraft. These medallions, designed by Andy Boston of Winco with additional artwork provided by Dumesnil, will be plated in antique bronze. The Constellation Cx medallion honors this now-former NASA program. 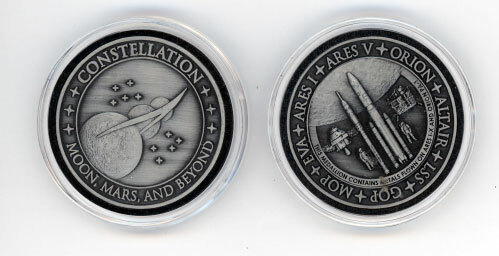 Commissioned by NASA, this medal was created with flown rocket metals from the Oct. 28, 2009 Ares I-X and May 6, 2010 Orion Pad Abort-1 test flights. Beautifully produced and come in it's own plastic holder from which it can be easily removed. NASA is marking the Curiosity rover's first year on Mars with a commemorative medallion minted from metal used in the engineering of the robotic explorer. NASA's Curiosity medallion features a raised depiction of the Mars rover with its drill-equipped robotic arm stretching into the design's outer border. The three-dimensional rendering captures the Curiosity rover's laser-outfitted camera mast and is detailed enough to make out the custom tread on one of Curiosity's wheels (the pattern leaves behind tracks that spell out "JPL" in Morse code). 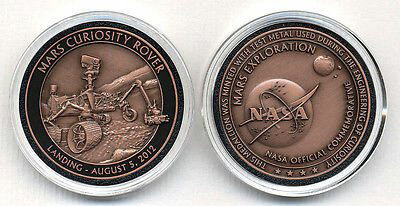 The front of the 1.75-inch diameter (4.4 centimeters) medallion is inscribed "Mars Curiosity Rover" and "Landing — August 5, 2012," the latter noting the date of the rover's touchdown as recorded at NASA's Jet Propulsion Laboratory (JPL) in Pasadena, Calif., where Curiosity is controlled. NASA's insignia doubles as the Earth as rendered on the reverse of the medallion. The agency's emblem is offset by a raised depiction of Mars and its two moons, Phobos and Deimos. Beautifully produced and comes in it's own plastic holder from which it can be easily removed. Hot Wheels - 24K Gold Plated - New in box !! 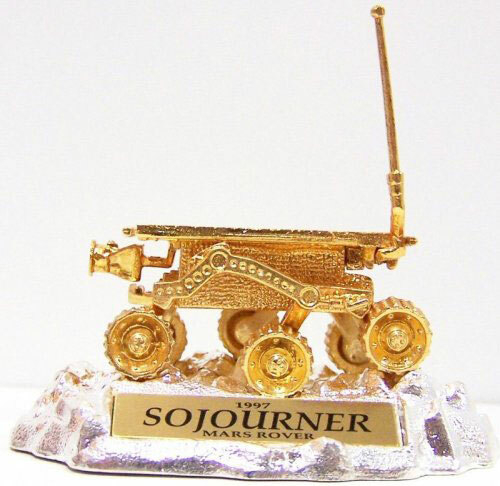 Limited Edition Very Hard to Find Hot Wheels 24K GOLD-plated SOJOURNER JPL MARS ROVER. New in original box. 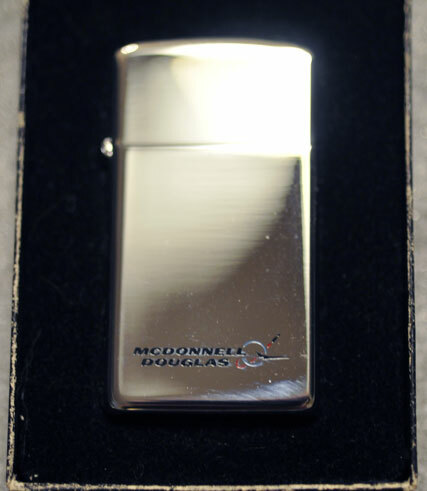 Vintage McDonald Douglas Zippo lighter. Unused and in perfect condition. As new in origional box with instructions. 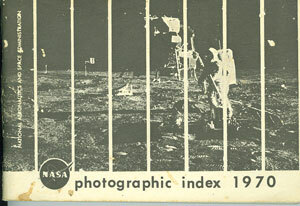 A vintage index representing the photographs available from NASA through 1970. In very good condition. Measures 4" x 6". 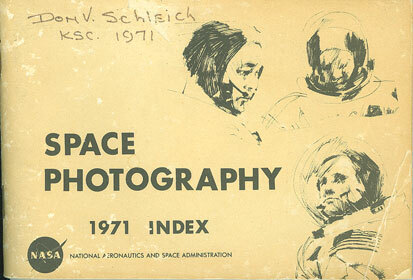 A vintage index representing the photographs available from NASA through 1971. In very good condition. Measures 4" x 6". 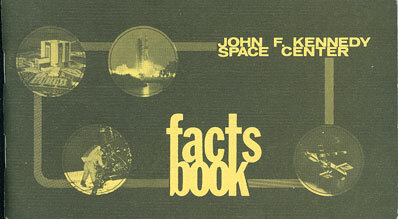 A vintage index representing in a condensed version, ready reference information about the John F. Kennedy Space Center, it's facilities and programs. 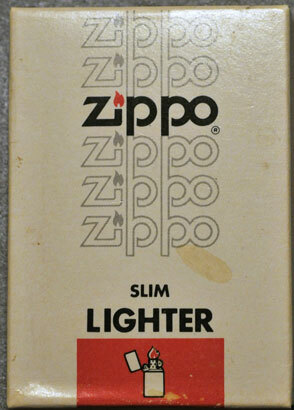 An awesome vintage reference guide. . 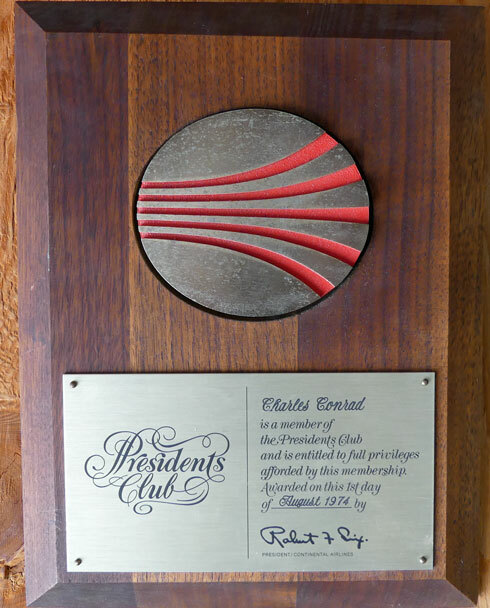 Measures 6.75" x 3.75"
This Continental Airlines President's Club plaque was presented to Astronaut Pete Conrad on August 1, 1974. This plaque measures 8.5" x 11". Plaque is in excellent condition. 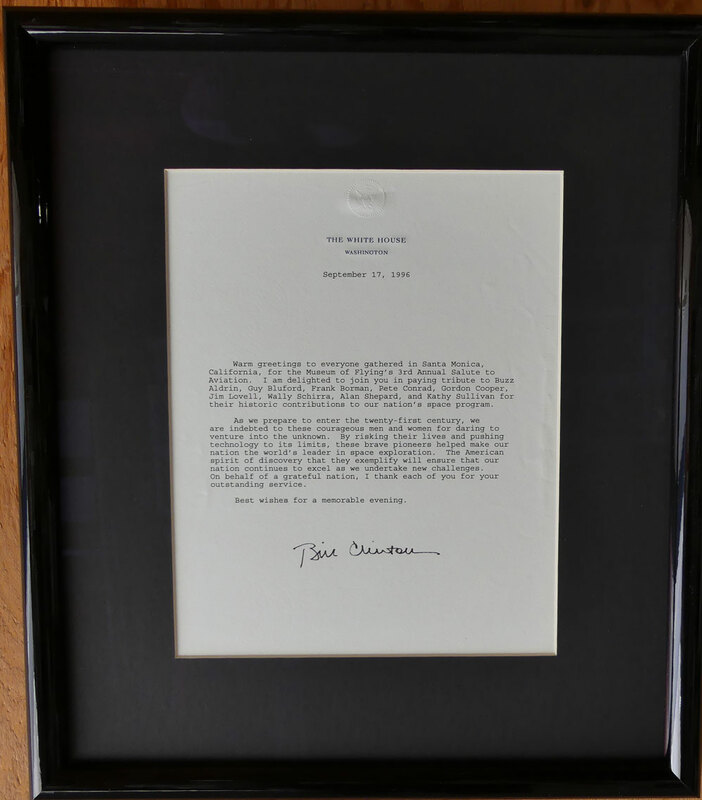 This framed letter on White House stationary was sent to Pete Conrad who was an Astronaut attendee at the above event held at the Museum of Flying, in Santa Monica, California. The signature of Bill Clinton is an autopen NOT authentically hand signed. This letter is in it's frame as displayed in Pete's office. The frame measures 14" x 16". . 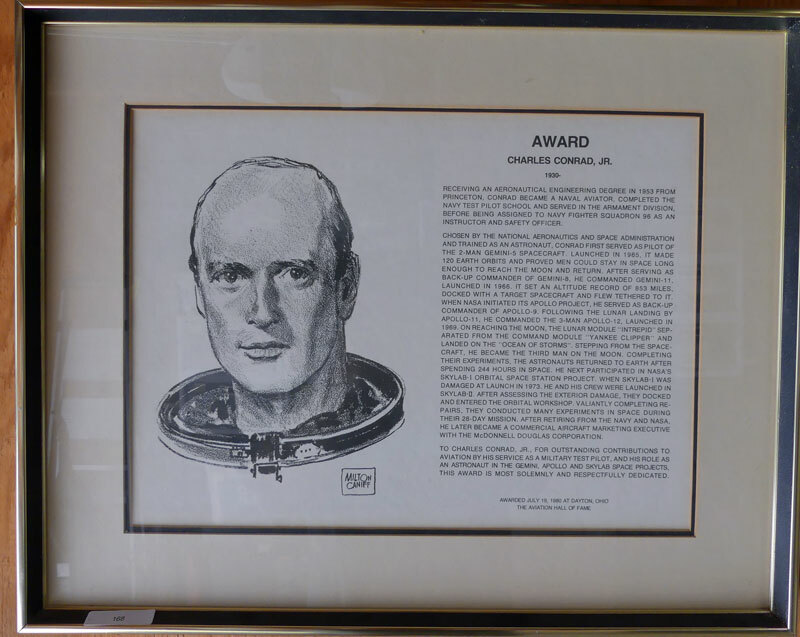 This plaque/certificate was presented to Pete Conrad following his setting a US national record for a speed of 183.88 mph in a Class E - 1c helicopter over a recognized course. This international organization and it's USA representitive, the National Aeronautic Association (NAA) certify record breakng flights and outstanding achievments in aeronautics and astronautics . 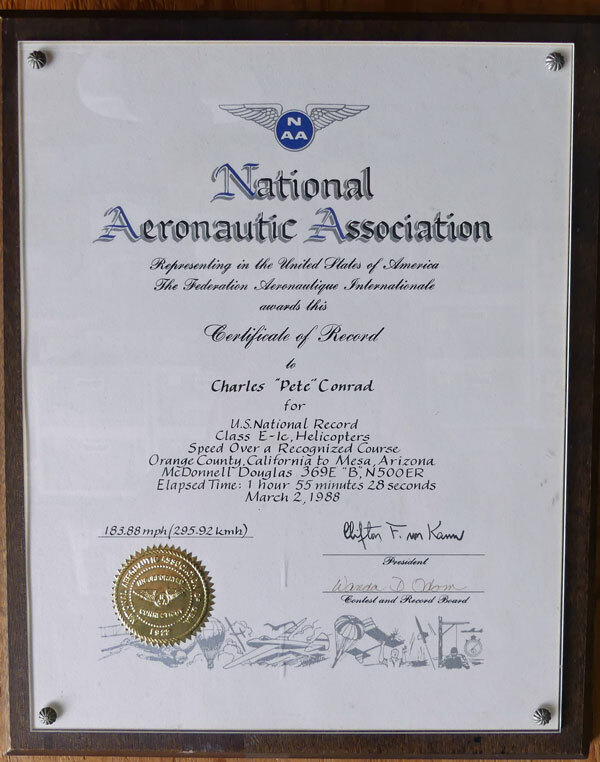 Pete's flight took place on March 2, 1988 on a course that extended from Orange County, CA to Mesa Arizona. Total time elapsed was 1 hour, 55 minutes and 28 seconds. The plaque measures 12.5" x 15". It is excellent condition. 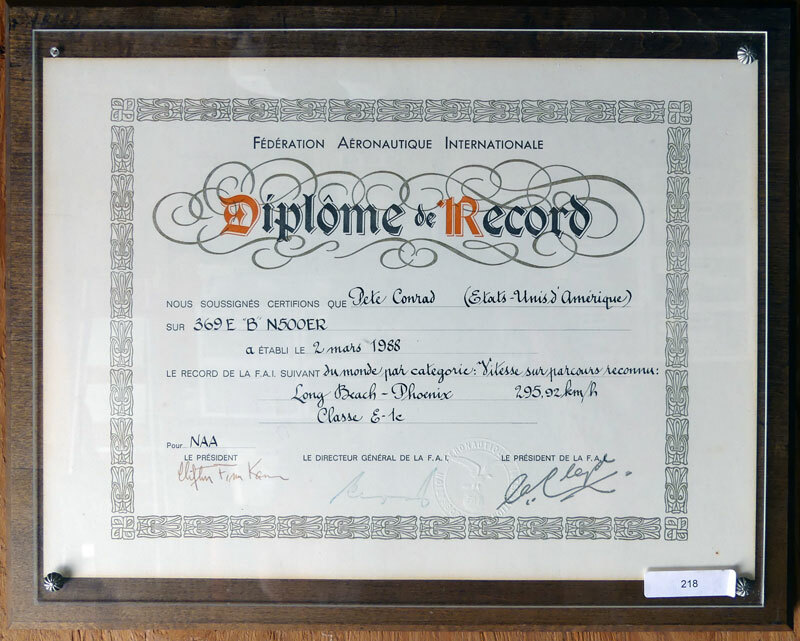 This plaque/certificate was presented to Pete Conrad following his setting a US national record for a speed of 183.88 mph in a Class E - 1c helicopter over a recognized course. This is the organization in the USA that represents the Federation Aeronautque Internationale (FAA). These are the entities that certify record breaking flights and outstanding achievments in aeronautics and astronautics. This DC-X maiden flight cover has an authentic flown piece of Delta Clipper aero shell material affixed to it. 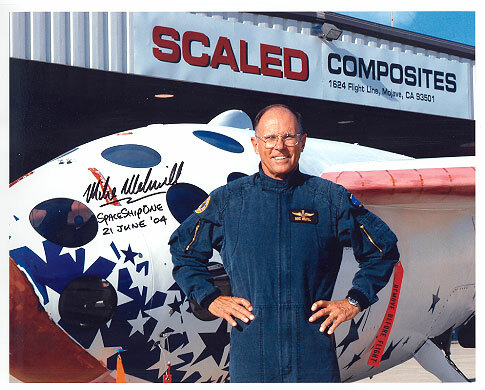 The material was obtained from Major Dale E. Shell who served as the DC-X & DC-XA Deputy Director for Flight Tests. The flown material was recovered following the 6/27/94 explosion that occurred at the onset of Flight #5. The explosion was due to the ignition of a vented hydrogen cloud which resulted in a 3' x 17' breach in the side of the launch vehicle. The specimen attached to this cover was removed by Major Shell from the damaged area just above the control surface. It should also be noted that Astronaut Pete Conrad was the DC-X Flight Manager. This cover with attached flown material comes with a COA from noted space historian Rick Boos to whom it was originally presented. flown metal from the launch of the first Titan III in 1989. 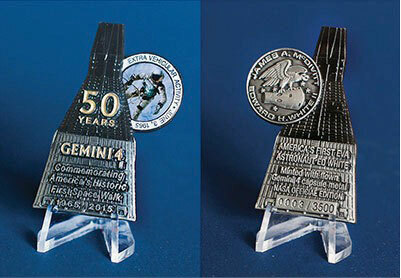 These are pennies stretched and engraved to commemorate various events in space history. 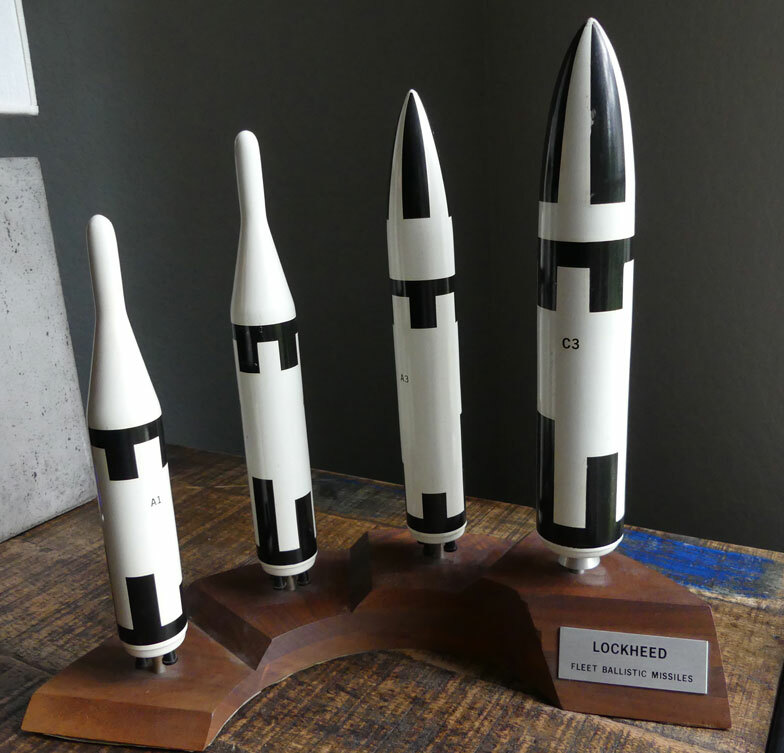 Three shown (from top left moving clockwise): Project Mercury (hand painted), Apollo 8 Returns, and Fifth Moon Landing. 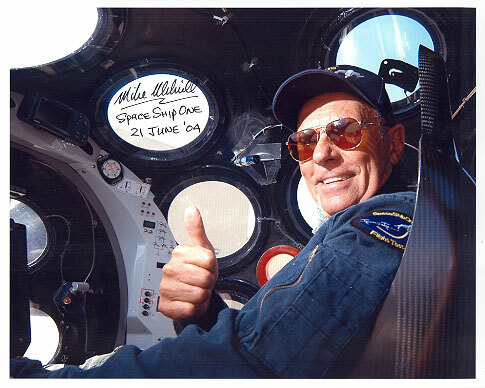 NASA Award Certificate for 20 years of service, issued to Mel Brooks. 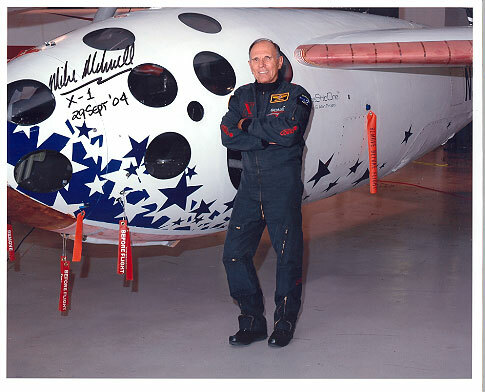 For those of you who aren't familiar with Mel, refer to Gene Kranz's book, "Failure Is Not An Option". 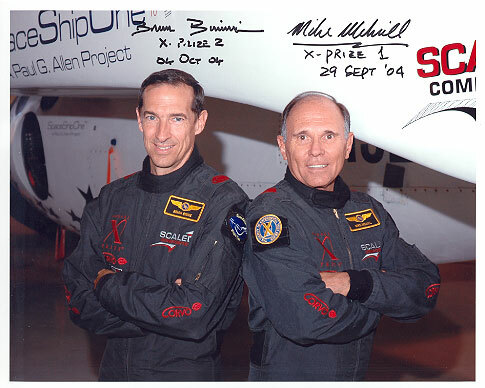 Mel is mentioned quite frequently and was a very key player from the Gemini through the STS Programs. A very well done 15 page commercial for this non profit organization that's loaded with nice graphics and informaton about their rold and responsibilities as an organization. Read but in nice shape. A very handy vintage reference guide. This foldout measures 22x17 and is full of great detail at a glance. "As new" condition. Very interesting program and in great shape. AKA: The "John Commonsense" document as it outlines from a commonsense viewpoint, the important criteria with respect to philosophy, concept, design, manufacturing, testing, and operation for both systems and experiments. 100pages of fascinating information and not often seen. 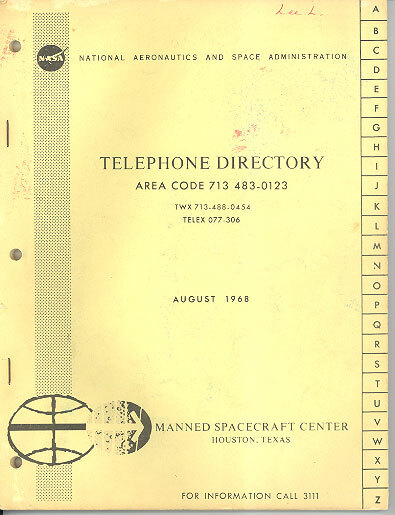 An early who's who phone directory from the Manned Spacecraft Center in Houston. Contains 78 pages of contact information. Very interesting associational item. This is Mel's personal copy of the directory that contains the who's who of JSC during this period. Contains 95 pages of contact information for the entire JSC roster. Very interesting associational item. "Comparison Of Calculated And Measured Stall Boundaries Of A Helicopter Rotor At Advance Ratios From 0.3 to 0.4"
"Preliminary Experimental Investigation Of Effect Of Free-Stream Turbulence On Turbulent Boundary-Layer Growth"
"Investigation Of Problems Associated With The Use Of Alloyed Molybdenum Sheet In Structures At Elevated Temperatures"